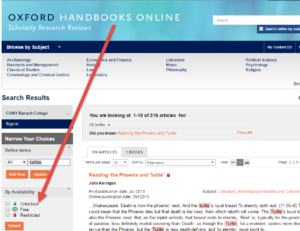 In my last post, I reviewed a handful of ejournal platforms (and one ebook platform) to see what default options were available that affected whether the search results would show all content or only the content the library had licensed or purchased. I also wanted to see which platforms let the user change the settings for available content. 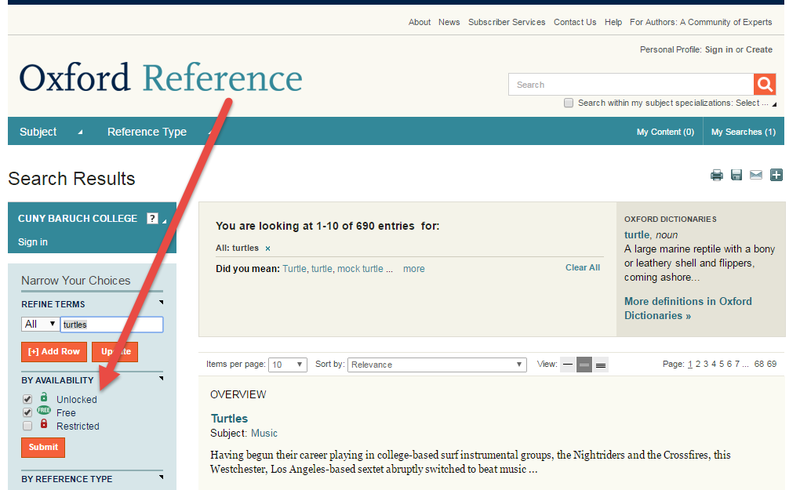 There were some platforms that I think did this the right way by letting the subscribing library choose what the default search mode would be and by also giving users the option to override that default at the search page and on the results pages. 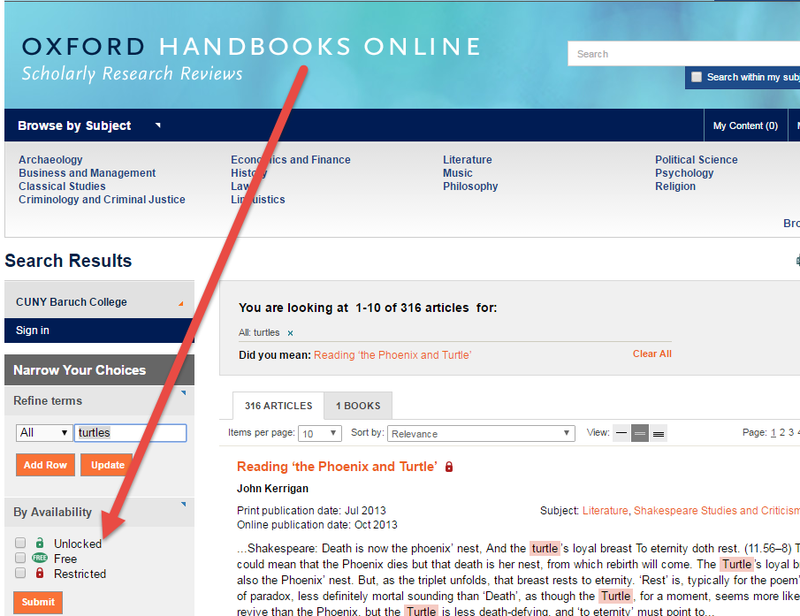 Only JSTOR and Project MUSE offer this kind of flexibility. 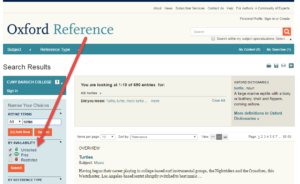 At the other end of the spectrum of flexibility and usability were platforms where neither the library nor the user could change the default settings that were set to show all content (Wiley Online Library is like that). 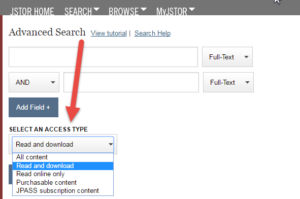 There are a range of platforms in the middle where the user can change the search mode to include only licensed content. A few vendors like this have communicated by various means (on posts in the ERIL mailing list or in support tickets back to me) that users tell them they want to see all the content or that some subscribing libraries prefer it to be that way. I find it a bit galling that some vendors disdain letting their customers choose what’s best for their own community (i.e., letting the subscribing library make that decision about search defaults based on what is known about the users in that community). User preferences at a large research institution (especially the preferences of the faculty and graduate students) are unlikely to be same as those of students at a community college or a small 4-year school. If anyone is going to have an understanding of those local user preferences, it’s going to be the subscribing library, not the vendor. At this point, some of you may be wondering why I’m making such a big deal out of platforms that most users only find themselves on temporarily. 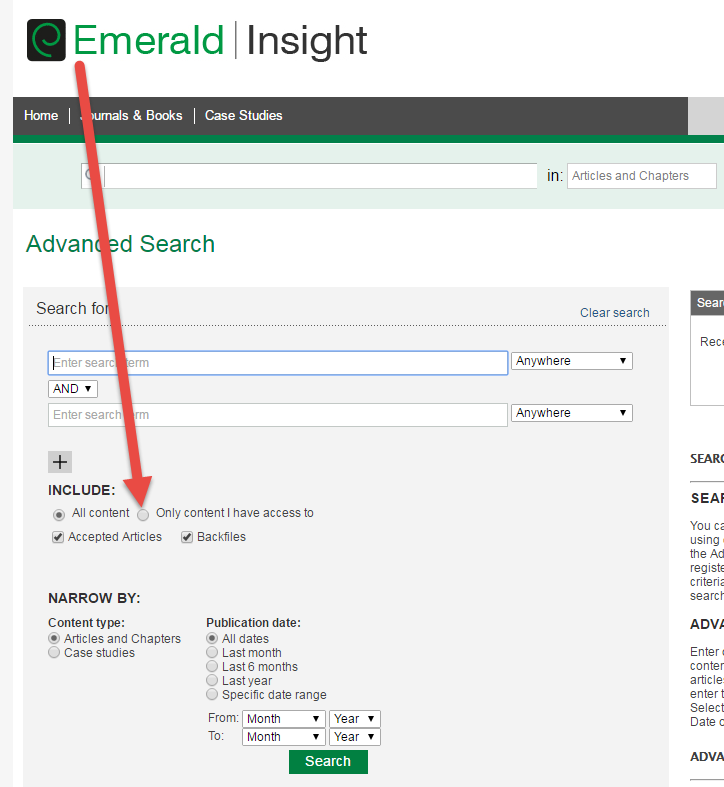 Users will find a record for the article in a discovery service or in an aggregator database and then wind up on the ejournal platform after a series of clicks on a link resolver (or a direct link if they’re lucky). After the user has found the full text and acted on it (read it, downloaded it, decided it wasn’t worth bothering with, etc. 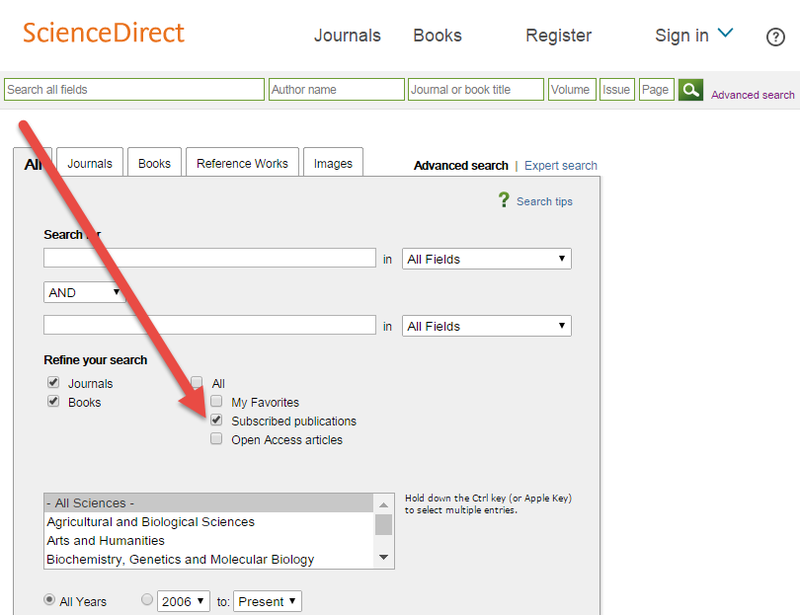 ), they are more likely to go back to the discovery service or the aggregator database to continue their searching. It is far less likely that a user who has gone that last mile to get to the full text would then start new searches there. 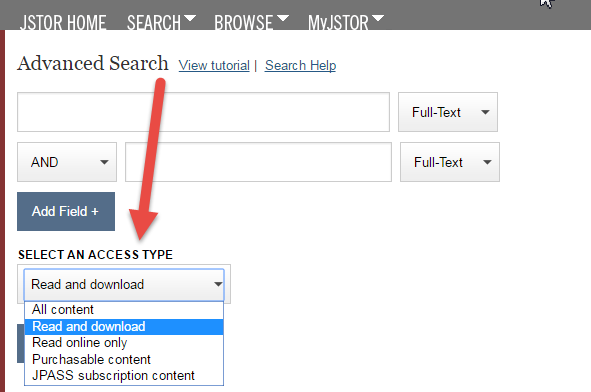 With respect to the array of database options that an academic library can display on their website via an A-Z databases page, it is not uncommon for that library to skip listing all of the ejournal platforms, especially if the number of journals they actually have on a given platform is small (ejournal holding are likely to be accessible via A-Z journals pages, link resolvers, and catalog records). So it’s not like the users are going directly to these ejournal platforms in droves to begin the search process (some exceptions to this are JSTOR and ScienceDirect, which are well known by users and commonly featured on A-Z database lists on the library website). 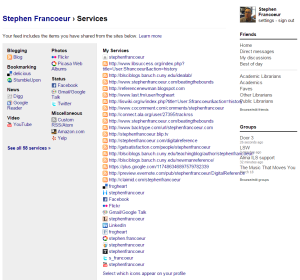 Despite the fact that our users may not be spending that much time on these ejournal platforms, let alone consciously deciding to go there after viewing a list of database options on a A-Z list, these platforms really should offer more customization to the user and to the subscribing library. I realize that to answer these questions conclusively would require access to usage data we don’t necessarily have (how many users clicked on the feature in the interfaces where it’s an option) and observational data (from interviews, usability testing, etc.). I’m curious about what others think about this feature. UPDATE 12 October 2016: Thanks to folks on the Primo mailing list, I realized I was wrong about Primo not offering the feature. The current UI does but the new one doesn’t. 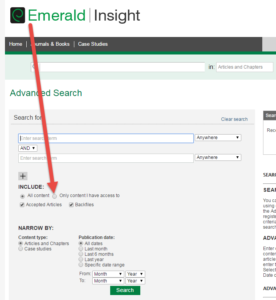 A librarian on the ERIL list pointed out that EBSCOhost lets you add all items on the page if you first go to the “Share” button. I’ve updated the post to reflect these corrections. While I could just do some rounds of usability testing, I think I want to dig deeper given that the stakes seem to be so high here. The search boxes connect up to many different resources that taken together represent major investments from our budget and our staff’s time. I do intend to do some testing, but I’m also thinking about analyzing query logs, surveying students, and conducting interviews or focus groups. I hope that out of this work, I’ll find some generalizable results worth publishing. To see this problem from various perspectives, I’ve started doing some reading, looking for texts that will serve as method sources in any publications I produce. I’ve started reading works by Carol Kuhlthau to learn more about the information seeking process model she identified. Her model seems like an essential one that will ground my observation and analysis. 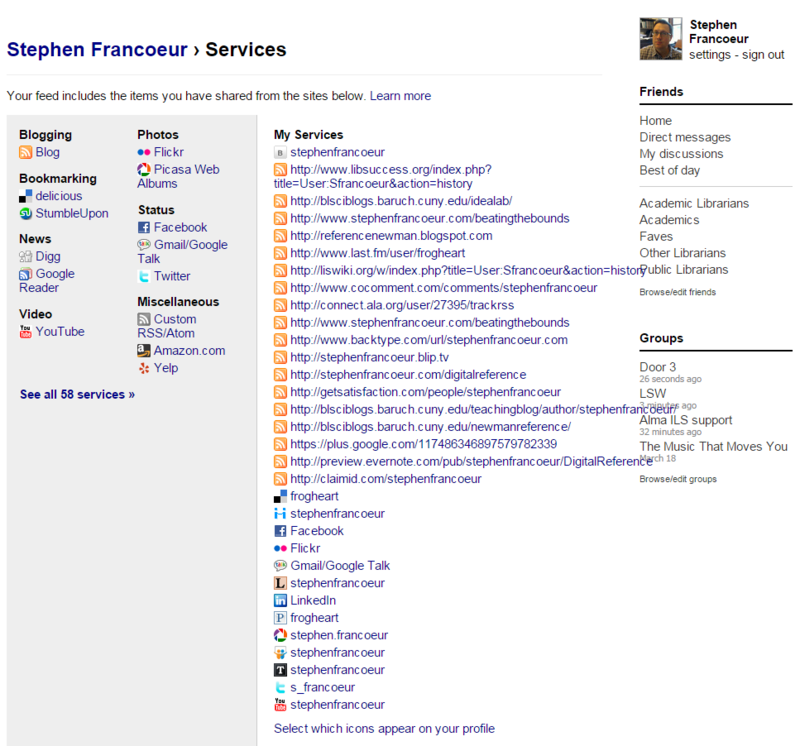 Another area where I’ve started doing some reading is social informatics. As it turns out, I’ll be teaching the library’s 3-credit course in social informatics this fall and need to get up to speed fast, as it will be the first time I’ve taught the class. I’m hoping that the work of Robert Kling and others will give me a broader perspective on how students conceive of search in a world characterized by rapid changes in information communication technologies. In his 1999 article, “What Is Social Informatics and Why Does It Matter,” Kling defines social informatics as “the interdisciplinary study of the design, uses and consequences of information technologies that takes into account their interaction with institutional and cultural contexts.” While web design typically takes into account common affordances from the web that you can assume your users are familiar with, I think I want to look more broadly at how students’ conception of “search” is shaped by the institutional context of being a CUNY student and the cultural contexts of search (e.g., what aspects of culture connect up with how they conceive of and typically use search systems). I hope my readers here will indulge me a bit as I use this blog as a space to try out some of these ideas I’d like to bring into my analysis.